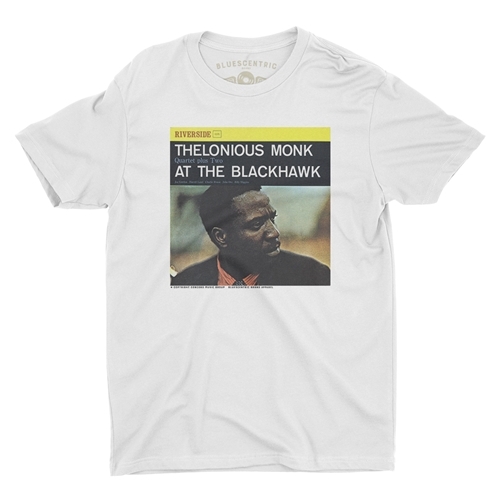 Officially Licensed Thelonious Monk at the Blackhawk T Shirt. 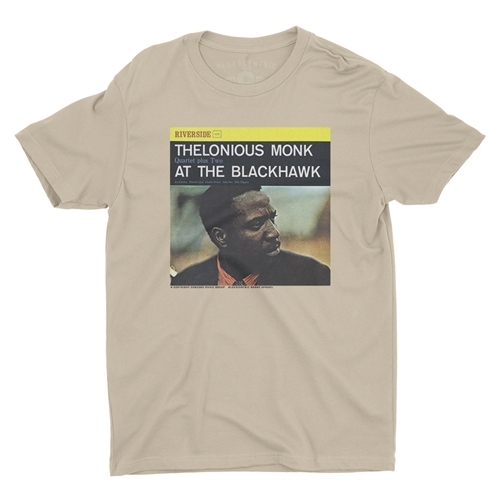 Thelonious Monk's landmark jazz album "At The Blackhawk", originally issued as Riverside 12-323 in 1960, recorded April 29th of that year. 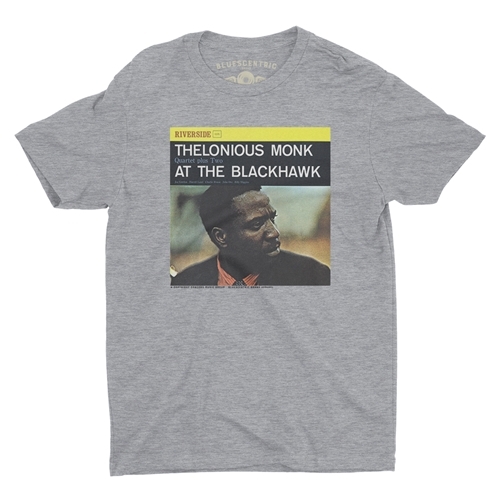 This Bluescentric Brand Jazz Music T Shirt is a premium lightweight (4.2oz) "vintage" style weave. 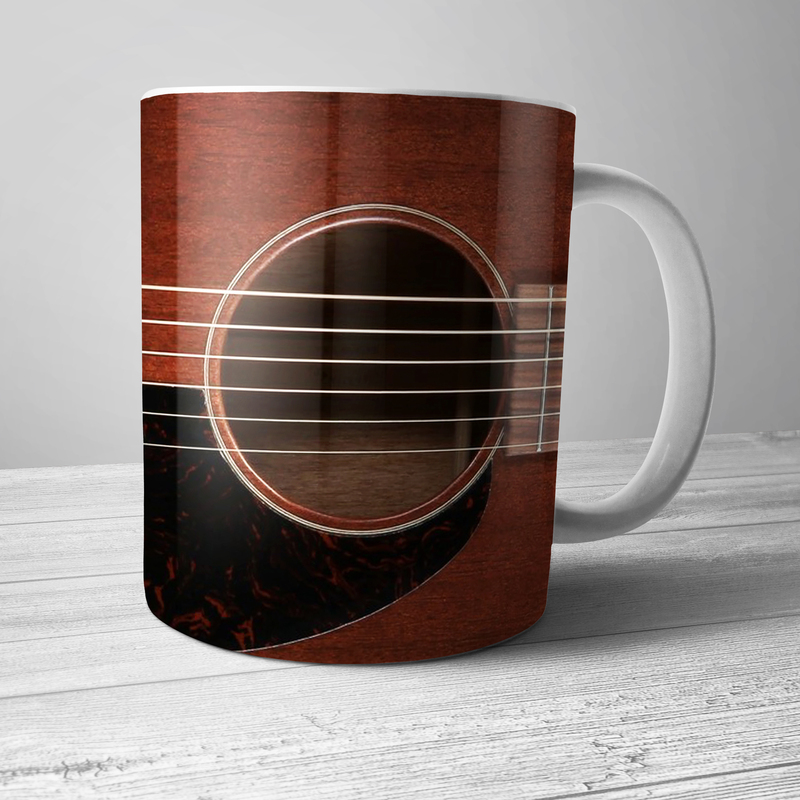 Solid colors are 100% combed, ringspun cotton. 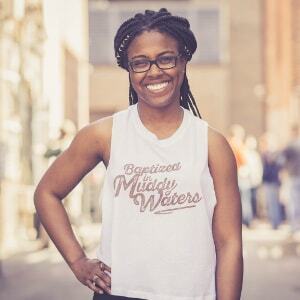 Athletic Heather is 90% cotton. All other Heather colors are 52% cotton, 48% poly. Sizes run true. 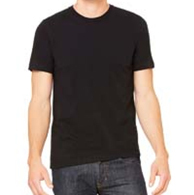 Favorite tees are lighter and slightly more fitted compared to the Classic Gildan tees.